Everyone’s a winner, and the award for Miserable Old Git goes to . . .
Home/Cruise Gossip/Everyone’s a winner, and the award for Miserable Old Git goes to . . .
A couple of weeks ago, I felt like I was on a roll. Voting had just opened in the second annual Cruise International Awards, where I am nominated in the Best Cruise Blogger category, sponsored by Cruise Connections. Then I received an email which told me this blog had been rated in the Top 10 for travel advice by MyTravelMoney.co.uk no less. I’m up there alongside giants such as Trip Advisor, Expedia Travel Tips and The Man in Seat Sixty-One. Exalted company. And with a citation which made me blush. Put aside the fact that most people have forgotten Captain Beefheart; well, can YOU name any of his hit records? I did have a few qualms when I realised all the nominees had been beaten to the gold award by a website which appears to exist in order to promote £97 subscriptions to a newsletter published 10 times a year – but what the heck. Fame at last. Again, I’m up there with some of the best. 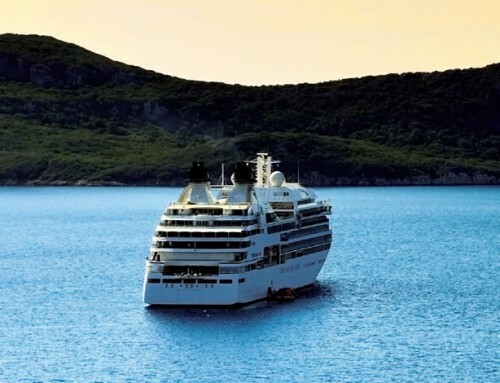 I am listed above Cruise Critic, for example, one of the most comprehensive customer-focussed cruise websites packed with advice, comment and reviews. Another winner, www.cruise.co.uk is more than a travel agent – it has a lively forum and thousands of user-created reviews. But hang on a minute. Cruising World turns out to be the website of a Florida-based magazine devoted to sailboats. James Cusick’s P&O blog is commended for providing “some great insights into the inner workings of large cruise liners as he describes his job in great detail,” but MyTravelMoney doesn’t seem to have noticed that it has not been updated since November 2011 when its author stood down, to be replaced by Discover P&O Cruises. So what of the blogs listed above me? At number three is a diary written by a passenger who travels frequently with P&O – he and his wife were on board Oriana for the recent Grand Event cruise. I read it often, and Tom can be relied upon to provide some interesting inside information from time to time. But I think he would accept that his blog is a personal diary with a relatively narrow field of vision. The number two slot is held by CruisesFromTheUK, another blog which forms part of a travel agency website. It’s not exactly busy; there were four items published in May, one in June, and so far this month there has been one more – about P&O’s Grand Event. Perhaps, like the rest of us, it’s been affected by the rain. I shouldn’t quibble about the blog at number one. But I will. The Gold Winner is hosted on The Cruise Show website and it is written by a good friend, Jane Archer. She is a prolific writer, for the Daily Telegraph, Travel Weekly and a host of other publications. Earlier this year she gained the Passenger Shipping Association’s award for Contribution to Cruise Journalism and also picked up a gong for the best travel trade feature. Unsurprisingly, she was not able to attend the presentation ceremony because she was away – cruising around South America. Jane is, however, the first to admit the limited scope of her blog. I’m sure she won’t mind if I say I am amazed she finds time to write it, given the demands on her for contributions to the printed media. Now don’t get me wrong. I am delighted that MyTravelMoney has recognised me in its awards. For the most part, I do not begrudge any of my fellow “winners” their places in the list. But I do have to question the validity of a list which throws up such surprising results. I have asked the compiler at MyTravelMoney for her comments. I will update this blog entry when she replies. In the meantime, you can vote for me – and in all the other categories – at the Cruise International Awards, and give yourself a chance to win a holiday in Fort Lauderdale. There will be ample opportunity for me to discuss the issue with Jane Archer – we are travelling together next week on Saga Sapphire. My moment of glory – spoiled! But never mind – I’m greatly mollified by the fact that I have *already benefited* from P&O’s new ‘Vantage Fares’ scheme. I got a letter from Carol Marlow this morning saying that because she was making cruises cheaper for other people, she’ll be giving us an extra £180 OBC when we’re on Ventura next year! Wowzer! !